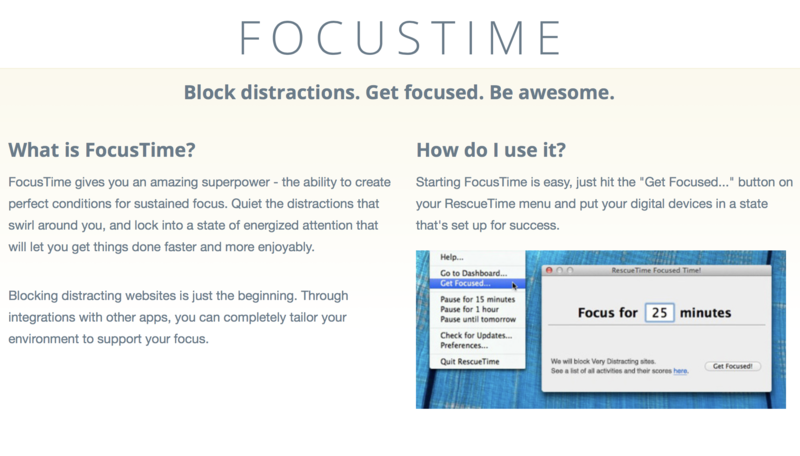 FocusTime is a Premium-only feature. It works by blocking distracting websites so you can focus on productive activities. 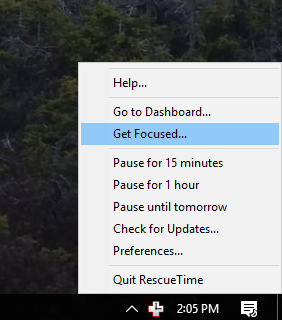 You can start a FocusTime session by selecting "Get Focused..." from the RescueTime application menu, accessed by clicking on the RescueTime icon. 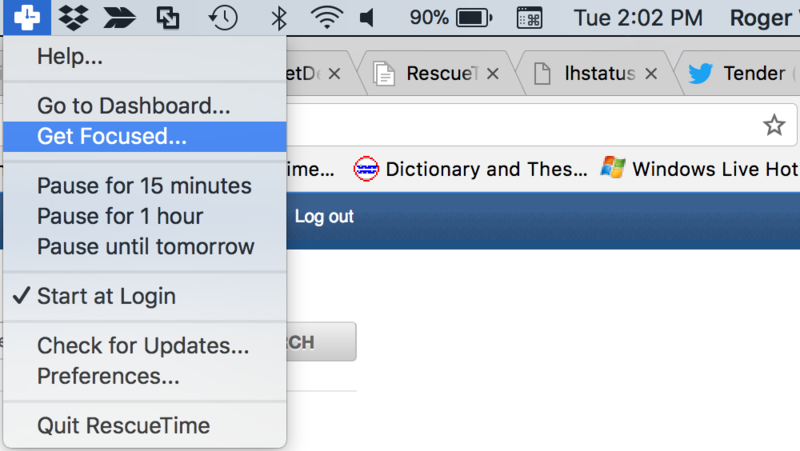 On Mac, the RescueTime icon is in the menu bar. On Windows, it is in the system tray. This will open the FocusTime window where you set the length of the FocusTime session. 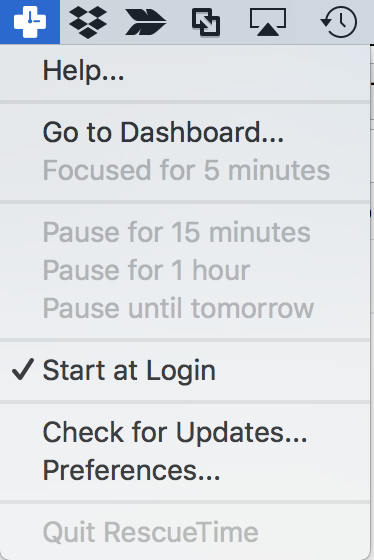 You can access the FocusTime settings page by selecting FocusTine from the Tools menu on the RescueTime website. The FocusTime settings page shows information about FocusTime along with the FocusTime settings. You can select the level of blocking strictness to be Normal, Intermediate, or Strict. 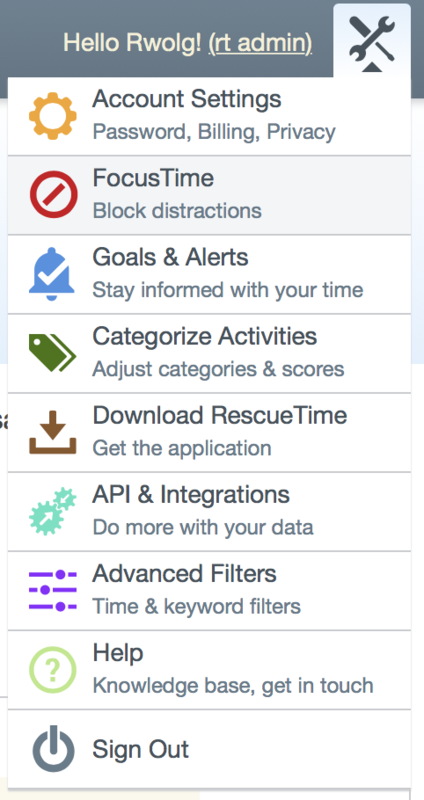 The "Preview" link will display the list of sites that RescueTime will block according to the current site blocking level. 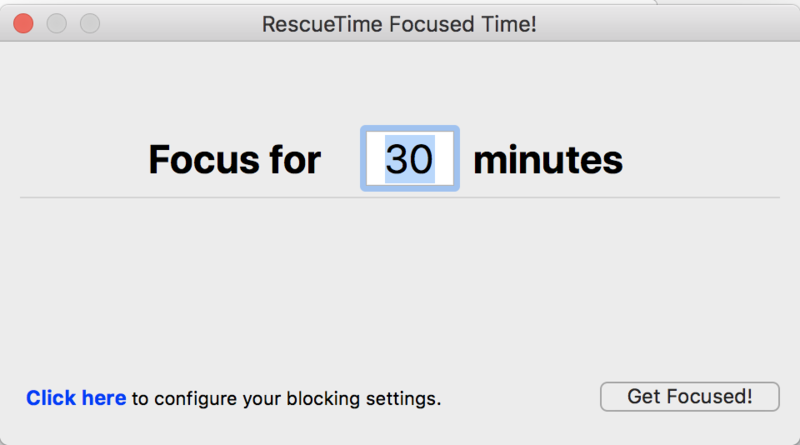 You can also choose whether or not to allow unblocking a specific site during a FocusTime session. With the link to "add exceptions for specific pages," you can create a list of sites that you can access even though they would normally be blocked according to the productivity ranking of the top level domain. For example, you can enter "www.youtube.com/xyz" to be allowed, while blocking the general domain youtube.com. 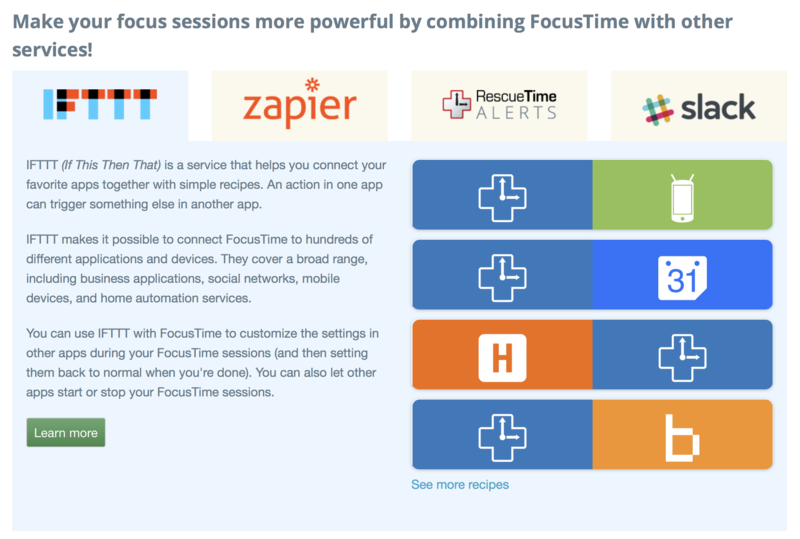 At the bottom of the page, you will find information about some integrations with other services that you can set up that take advantage of FocusTime features.